Featuring Black Socialites & All Things Fabulous! 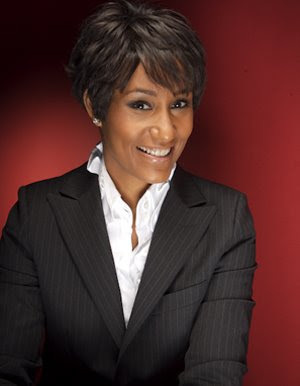 I just learned that the Chicago Sun-Times is reporting that Super Socialite Desiree Rogers is expected to be named Special Assistant To President-Elect Barack Obama. She will be responsible for coordinating social functions at The White House and is the first Black person to hold this post. Talk about a dream gig!!! You may recall that I featured Ms. Rogers earlier this year. She is currently the President of Social Networking for Allstate Financial. Hardy-har-har to all of those naysayers who think that being a Socialite is pure fluff! Original material is licensed under a Creative Commons License. Check out my comments in The Daily Beast about Super Black Socialites Bonnie Morrison & Shala Monroque! Read The Interview - The Washington Post! Read The Interview - Canada's Globe & Mail! Mentioned in The New York Times! Slate Magazine linked to this blog! The Root.com was our first media BFF! BET.com & Gawker gave me a shout out too! Named One of The Top 10 Blogs for 'Socialite Stalking' by Blogs.com! Named One of The Top 100 Hilarious & Addictive Celebrity Blogs by Best Online Dating Sites.com!! Let's Connect on Google Friend Connect! Keep Up With New Postings! Everod & Beverly Coleman - Phila. Patrick Oates & Evelyn Sample-Oates - Phila. Association of Junior Leagues, Intl. Copyright © 2010 The Black Socialite, Inc. Awesome Inc. theme. Powered by Blogger.